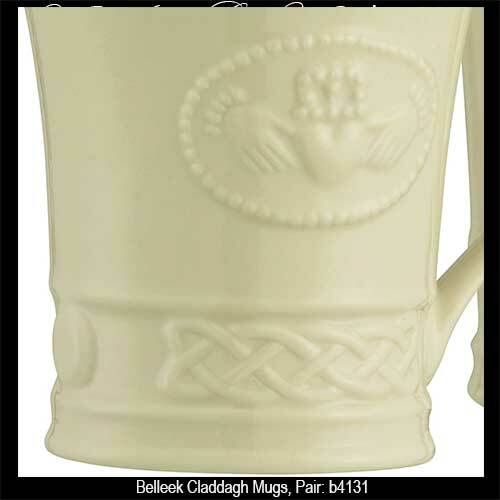 Belleek Claddagh dinnerware features an embossed motif that is enhanced with Celtic knot-work. 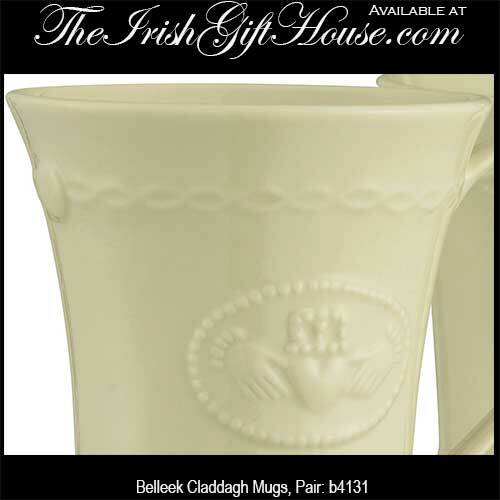 Grace your table with this collection of Belleek Claddagh dinnerware; they are sure to become a family heirlooms. 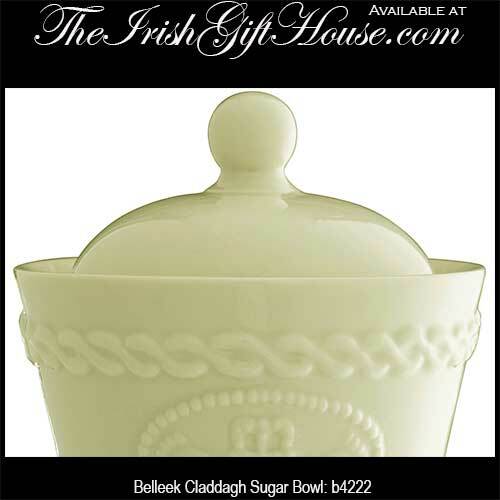 The Irish Gift House features an assortment that includes dinner plates and bowls along with mugs and tea pots. 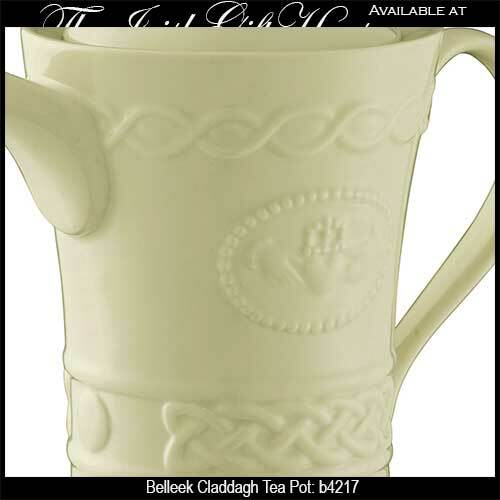 Like all Belleek, this collection of tableware is hand crafted in Ireland on the banks of the River Erne. 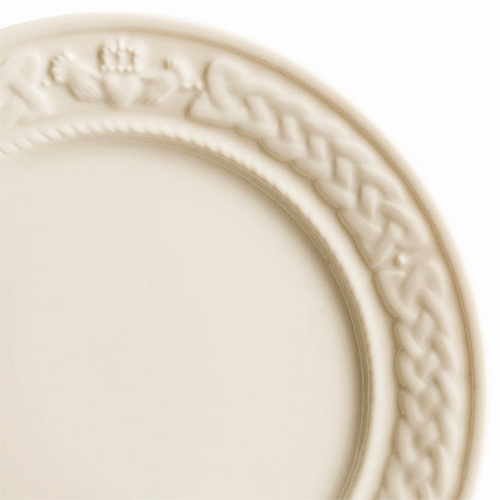 Belleek dinner plate features fine china that is enhanced with a embossed border with the Claddagh along with Celtic knot-work. 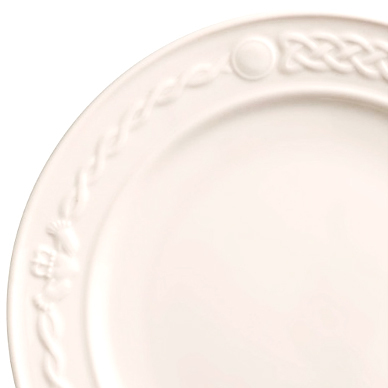 Belleek accent plate features fine china that is enhanced with an embossed border with a Claddagh and Celtic knot-work motif. 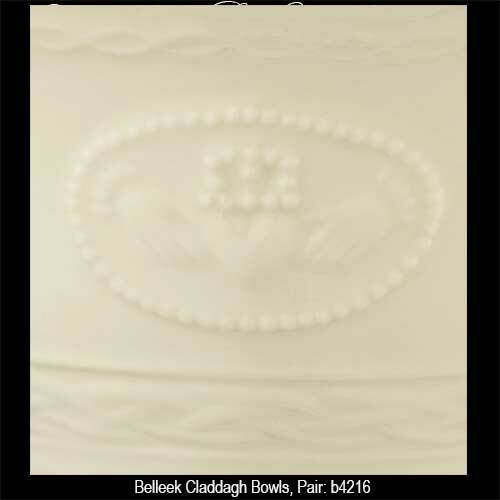 Belleek dessert plate features fine china that is enhanced with an embossed border with a Claddagh and Celtic knot-work motif. 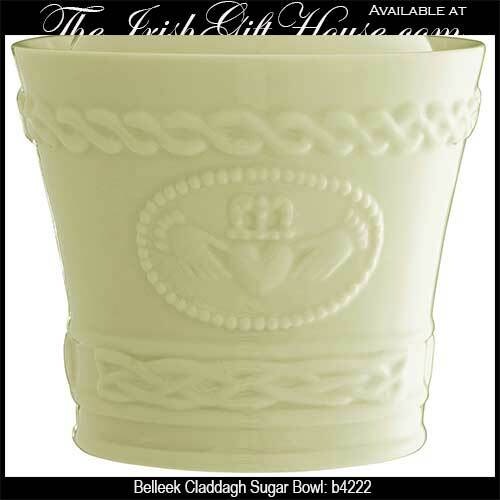 Belleek Claddagh serving bowl features embossed Celtic knot-work on Irish china. 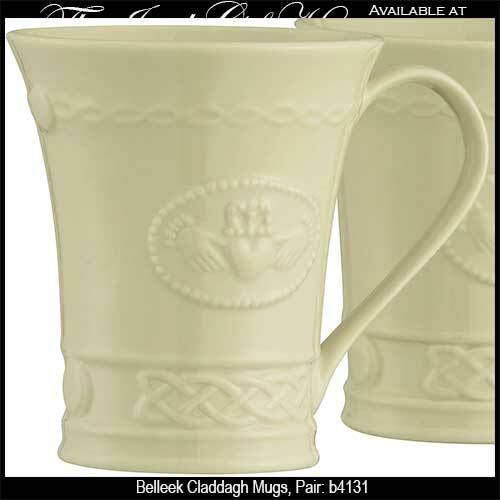 Belleek latte mugs features Irish china that is enhanced with an embossed Claddagh on each side along with Celtic knot-work. 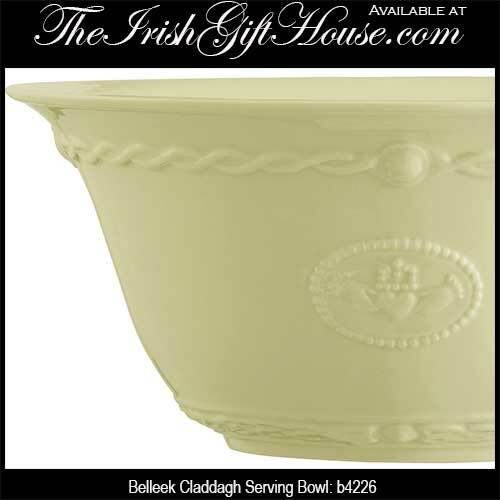 You may also wish to browse our selection of Belleek shamrock dinnerware. 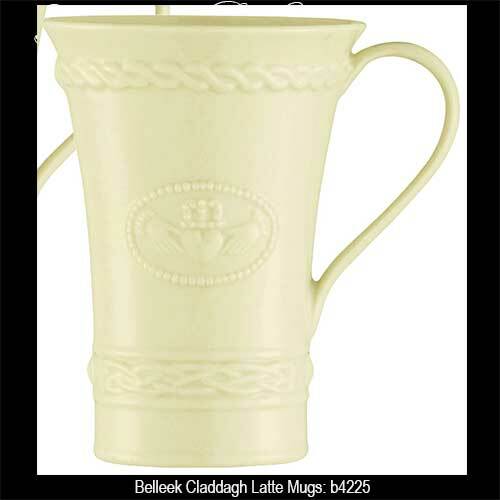 This extensive assortment ranges from dinner plates to tea pots along with table accessories such as salt and pepper shakers and serving pitchers. 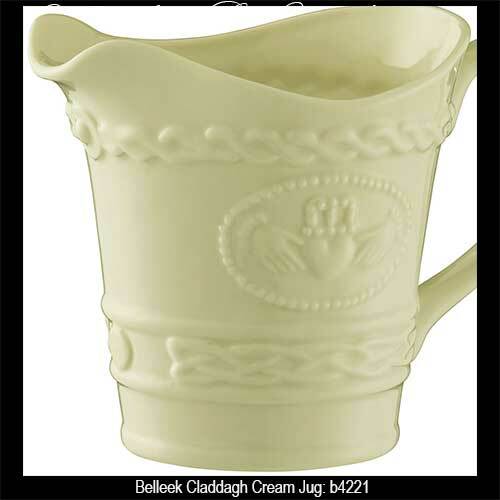 Most of the piece in the Belleek dinnerware collection features the famous basket weave motif.